The Height Adjustment Lever adjusts to accommodate different sized instruments. The Detachable Velvet Covered Peg detaches from base for easy transportation, storage and display options. 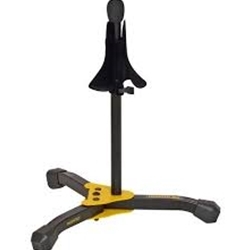 Swivel Legs fit around other equipment easily, and fold up compactly.